We're a country of tolerance . . . until it comes to the cookie platter. 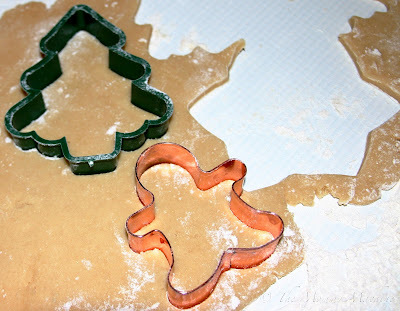 Don't mess with an American family's favorite Christmas cookies. Fortunately, we're also a nation known for diversity and variety. One household might insist on lemon bars and chocolate peanut butter balls and Russian tea cakes every year, while their neighbors across the street prefer divinity and gingersnaps and snickerdoodles. You and yours may choose the comfort and familiarity of chocolate chip and oatmeal raisin and Oreos. 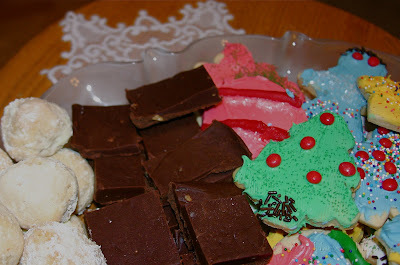 It's really not important what kind of confectionery wafer your family enjoys at Christmas, as long as you dip a delicious cookie or two or three dozen into the beverage of your choice while singing a joyful round of Deck the Halls! My family's favorite? Sugar cookies covered with tasty cream cheese frosting and candy decorations. My love for the sugar cookie started early in life. 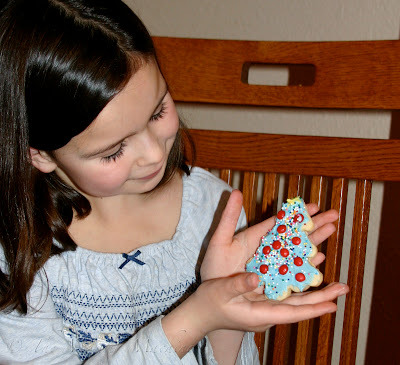 Every December, Mom would cut out and bake cookies in the shape of trees and angels and stars, and we would all sit down at the kitchen table for a marathon session of cookie decorating. My mom and sister are extremely creative people, so their cookies looked like little pieces of art while my cookies looked like, well, something Rudolph coughed up. Thankfully, my daughter inherited her Grandma's sense of artistry. Yeah, I wasn't blessed with the cookie decorating gene either. OH, what a pretty bunch of cookies! Making sugar cookies in a tradition in our family too, only now my girls make them all by themselves! Yesterday I had one of theirs, decorated with licorice, Smarties, M & Ms, and thick frosting. I felt a little sick. Hee hee. I wanted to take pics but they were gone too quick! Yummy! Your daughter did an excellent job! My favorite is cut out sugar cookies, too. I would love to try the cream cheese frosting, though. 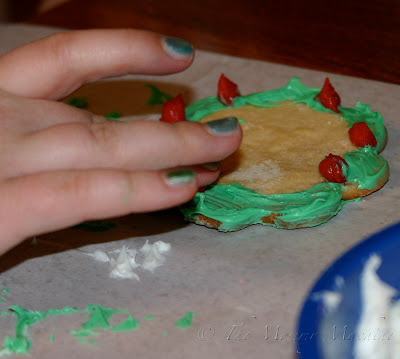 I just posted about our first jaunt with sugar cookie decorating! Hopefully my two year old will eventually have your daughter's artistic eye!